Get budget-friendly glasses without the hassle. You can make an appointment for an eye exam or bring in your current prescription. 95% of glasses are made the same day, which means you don’t have to wait to see clearly. Eye-Mart carries men’s eyeglasses, sunglasses, and reading glasses for your convenience. Choosing the frame for your next pair of glasses doesn’t have to be a struggle. We’ve got a wide selection of frames including metal, plastic, and rimless frames. So whether you’re a college student or a CEO, Eye-Mart has a frame to fit your style. Whether you’re at the beach or in your backyard, Eye-Mart has sunglasses that will look good and protect your eyes from the sun. 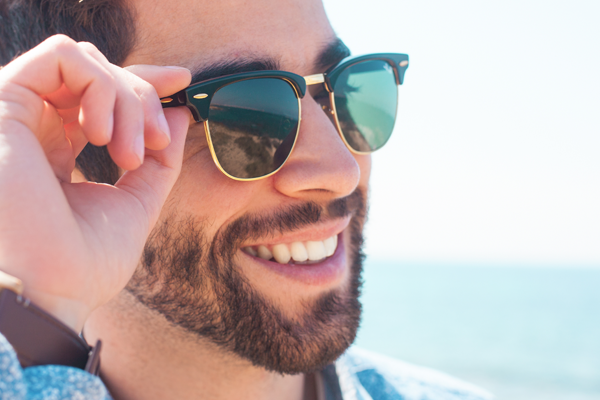 You can even get prescription sunglasses the same day, so you don’t have to wait to enjoy the sunshine. If you’re struggling to read the menu at a restaurant, it’s probably time to pick up some reading glasses. Never fear though, Eye-Mart carries many styles of men’s reading glasses to help you out and can even do an eye exam to make sure you’re wearing the right prescription. Stop squinting and start enjoying life again!